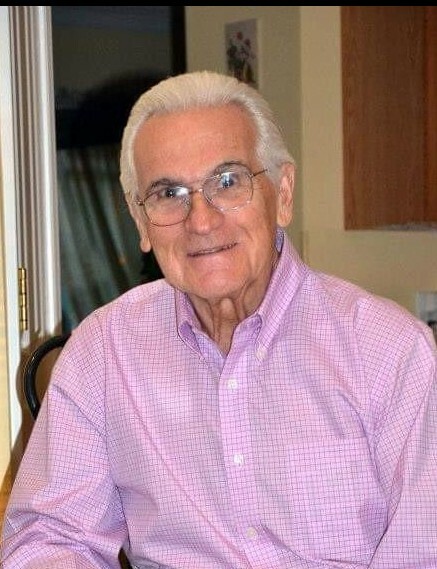 NASHUA - John Anastasiou, 82, died peacefully at The Community Hospice House in Merrimack, NH on Sunday, March 24, 2019. He was surrounded by his loving family at the time of his passing. Son of the late Costas and Efimia (Savas) Anastasiou, John was born in Nashua, NH on June 17, 1936. He was a general foreman at the Raytheon Company for 42 years and enjoyed woodworking, cooking, music, and dancing. John also loved entertaining guests, his greek heritage, Orthodox Easter, Christmas, and, above all else, time with family and friends. In addition to his wife Maureen, he is survived by his four children: Karen Nevin and her husband Ralph of Hudson, Kathy Mann and her husband Frank of Merrimack, Kristen Paradis and her husband Ron of Nashua, and Charles Anastasiou and his wife Michaela of Austin, TX. He is also survived by his six grandchildren: Tyler Nevin and his wife Lauren, Matthew, Greg, and Sarah Mann, Derek Paradis, and Fiona Anastasiou; great grandson Gavin Mann; his sister Georgia Kalaris of Virginia; sister-in-law Joan Anastasiou of Nashua: as well as several nieces, nephews, and in-laws. John was predeceased by his two brothers, William Anastasiou and Theofolus Tsacoumis, as well as his brother-in-law James Kalaris. Relatives and friends are invited to John’s visitation at ANCTIL-ROCHETTE & SON FUNERAL HOME, 21 Kinsley Street, Nashua on THURSDAY, March 28th, from 4 until 8 PM. His funeral service will be held on FRIDAY, March 29th at 11 AM at St. Philip Greek Orthodox Church, 500 W Hollis St., Nashua. Burial will follow in Woodlawn Cemetery, Nashua. In lieu of flowers, donations may be made in John’s name to: The Community Hospice House, 7 Executive Park Drive, Merrimack, NH 03054 or to St. Philip Greek Orthodox Church Fund, 500 W Hollis St, Nashua, NH 03062.